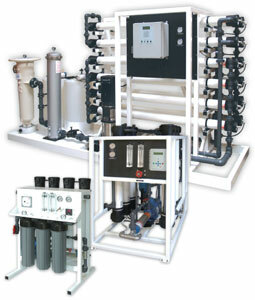 Reverse Osmosis is the most economical method for producing spot free rinse water. As collectors of classic cars ourselves we use reverse osmosis water on all of our cars. Spotting is caused by dissolved minerals in the rinse water. This includes calcium which are hard minerals, and Sodium which are soft minerals, both of which cause spotting. A water softener only removes calcium and adds sodium so that technology will not work. Reverse Osmosis removes all of the spotting minerals and delivers enhanced color by not over cleaning the paint as happens with deionization. We offer many different sizes for the mone collector restoration shop museum or high volume car wash. Call us and we can help you put together a complete and economical system.